Buying your first home is a rite of passage. It’s an exciting time, full of anticipation (and a little anxiety)! No matter how much you love your starter house, though, the odds are good that it won’t be your forever home. Most people move at least a few times before they find somewhere they want to stay for multiple decades. 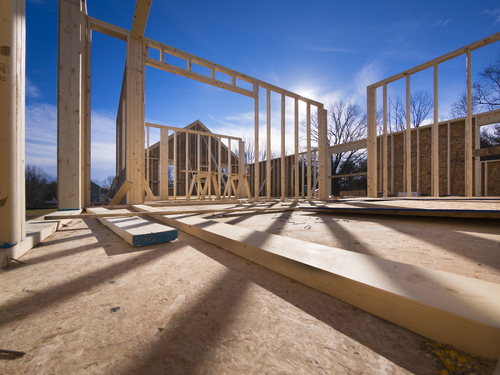 If you’ve been thinking about building a house a lot lately, it might be time for you to seriously consider whether or not you want to stay in your current residence. There are several key indicators that it’s time for you and your family to build a new house. You will learn about some of these as you continue reading this guide. If your current situation ticks even one of these boxes, this is probably the right time for you to start researching reputable builders in your area! You’ve outgrown your current space – It’s completely normal to outgrow a starter home. When you moved in, you might’ve been single or newly married. Now, you might’ve added children, pets, and more belongings to the mix, making your current house feel too tight. If you have started feeling a little claustrophobic every time you walk in the door, you should think about upgrading to a place with more space for everyone in your household. The budget isn’t a concern – Depending on where you live, building a new house may or may not be more expensive than building a new abode. However, it is typically tougher to get the loans needed to buy empty lots than it is to get standard mortgages. If you’ve been prequalified for a construction loan that meets your family’s budgetary needs, building might very well be the best way to go. You have a specific vision – Some people have very particular ideas about how they want their next homes to look. If you are one of these individuals, you’re likely to get discouraged if you visit multiple houses, only to find that they will all require significant renovations to fit your vision. In situations like this, building a new home might actually be less expensive, not to mention less of a hassle, than gutting an existing house. There is an area you love – If you’ve found a spot you love, whether it’s in the country, in a subdivision, or by the water, you might find yourself upset if no houses are currently on the market in that spot. Buying an empty lot and building can be a great solution to this problem, especially if you can see yourself staying in the area long-term. You have a long enough timeline – Building a house takes time. If you need to move quickly, it may not be the right choice for you currently. If, however, you can wait for your new home to be finished before you leave your present residence, building just might be a good fit for your family. Whether you ultimately decide to build or buy, best of luck to you as you embark on this new chapter!